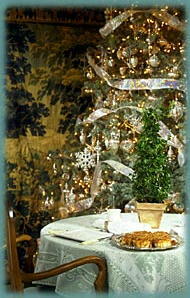 Autumn 2005 Newsletter - Wickwood Inn - Saugatuck, Michigan - romantic Bed and Breakfast near Chicago. Indian Summer is here!! 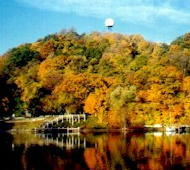 And for Saugatuck it’s one of the most dazzling seasons of the year – it lasts forever!! Breezes warmed by Lake Michigan give us almost three months of the most perfect weather imaginable – sweater weather until Thanksgiving. No exaggeration!! Come and take advantage of it with us! It’s great for long beach walks, trekking the dunes, gallery strolling, wine tasting tours, antiquing, bicycling, and getting an early jump on holiday shopping. Often our guests visit “Same Time Next Year” style – but there are Six Seasons in Saugatuck – each with a unique mood – each mesmerizing! Come to The Inn and share our secret!!! "I love to go swimming in Lake Michigan long after Labor Day"
The warm waters of Lake Michigan that blow warm breezes toward Saugatuck make Indian Summer last forever in our towns. It’s a well kept secret, but true! That’s why it’s sweater weather here until the snow flies. our Saugatuck shoreline and the warm breezes result in a longer growing season for our Fruit Belt gardeners and farmers, and a longer season at the beach for the rest of us! Saugatuck-Douglas simply has a weather world unique from the rest of the Midwest – and we love it! 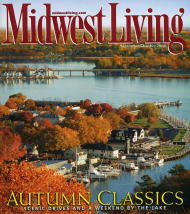 The October Midwest Living calls our towns "sophisticated" - and we like to think of ourselves as "funky". Somehow we all have our own style!! Come live like a local! The local harvest is in at our Green Market under the Red Arches. It’s the best time of year to cook! Our Cheese Board is loaded with Batali sausages, and incredible American Artensial cheeses Redwood Hill Farm’s impossible-to-get “Camelia,” Lazy Lady’s “Misty Meadow’ and “Trillium,” and our “most favorite cheese on Earth,” Carr Valley’s “Cave Aged Cordona” and Green Mountain’s “Gore Dawn Zola” (get it?). Every evening is a tasting adventure!! Vintage grapes lithos and superlative "Le Vin" watercolors accent our red Country French décor. "Saugatuck is One of the Top Five Art Towns in America"
It’s prime time to visit our dozens of Art Galleries and Studios abuzz during the Fall with Gallery Openings, Artist’s Receptions, painting demonstrations, and classes! 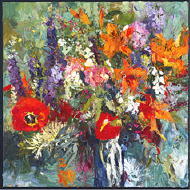 Saugatuck/Douglas has over forty galleries exhibiting over 800 artists – all year long! Ever since Chef Matt and Amy Millar made a commitment to share their culinary curiosity and creatively with the rest of us at The Journeyman – well, we’re in heaven!!! It’s a haven for local foodies and the few visitors we’re willing to share the secret with. We’re thrilled every time we visit! Run don’t walk to The Journeyman! Matt knows exactly how to coax flavors you’ve never known!! You’ll be in awe! There are fresh Cockles and Prince Edward Mussels – Sautéed White Sardines – Wild Mushroom Gnocchi – Sablefish, White Salmon, dry aged beef , great pizzas, fabulous herbs and to die for desserts – Chocolate Hazelnut Soufflé, Pannacotta, and Chocolate Amaretti. Wow!! All around town there’s cabaret, jazz, and blues –check it out at Chaps, Pumpernickels, The Lakeshore Jazz Connection, Everyday People Café, and The What Not. Your favorites – Organanissmo, Michael Holmes, Mary Rodemacker, The Scott Bill Trio, Christy G, Rich Ruther, Mark Kahney, and Edye Evans Hyde. We’ll be there! Halloween Weekend brings out the best creativity all over town! Houses look scary and a glow – Costume Contests prevail and everyone dreams up and struts their stuff in one parade or another…The Children’s Parade, “The Legend of Sleepy Hollow” is re-enacted, Haunted Houses and Corn mazes, and the wild Adult Parade after dark in Douglas are not to be missed events!! October 28th and 29th all around town! According to the New York Times on 9/6/05 – Researchers have pinned down another important reason to use olive oil – it has a naturally occurring anti-inflammatory chemical, “oleocanthal” – creating similar benefits to ibuprofen. 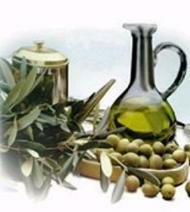 Look for “extra virgin olive oil” with a good throat sting indicating it has a high level of oleocanthal. That’s good enough for us!! Apples America – as only Johnny and his friends can see it! A must! – R.W. Apple Jr.
Ginger Gold, Honey Crisp, Gala, Mutsu, Fuji, Ida Red, Empire Golden, and Cortlands – great for apple pies, applesauce, cobblers, crisps, strudels, and cider. 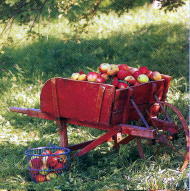 It’s a great time of year and we live smack in the center of Michigan’s Fruit Belt so there are orchards all around us. Time to visit Crane Orchards to “pick your own” apples! Then go to their Pantry for terrific soups, homemade pies, cider, and cider doughnuts. During October, The Crane Corn Maze is open and great fun! Towards Halloween it becomes The Haunted Maze with ghosts and goblins. Time to be a kid again! Catch the Holiday Spirit in Saugatuck! Plan now to visit us as the Holiday Season approaches. Saugatuck and Douglas become an Old Fashion Christmas Card – with twinkling lights everywhere lighting in med-November. 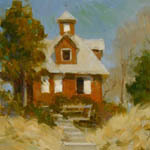 For six weeks our towns are magical – horse drawn carriage rides, mulled cider and holiday Cookies in shops brimming with unique gifts and stocking stuffers, Dicken’s “Christmas Carol”. The tradition at Wickwood is to sparkle from top to bottom – inside and out! Every room has its own special tree with our own personal decorations collected from around the world! We elves work very hard to bring you a new Christmas memory! Come join us!! Let us make them such cheer."